Governors A. Joho, A. Kingi, J. Mrutu vehicles smashed with Mangoes at Mpeketoni in Lamu. - Bana Kenya News, Real African Network Tubanane. Home featured Mombasa Governors A. Joho, A. Kingi, J. Mrutu vehicles smashed with Mangoes at Mpeketoni in Lamu. Governors A. Joho, A. Kingi, J. Mrutu vehicles smashed with Mangoes at Mpeketoni in Lamu. The Governors Convoy that moves around the Coast region preaching for NASA coalition agenda was today had a very difficult time in Lamu county. The community that stays in Mpeketoni refused to accept the apologies from the County governors as to why the Mombasa Governor Ali Hassan is in a fight with the President. The Mpeketoni residents in Lamu who the majority are from central Kenya clash with the supporters who accompanied the governors convoy. 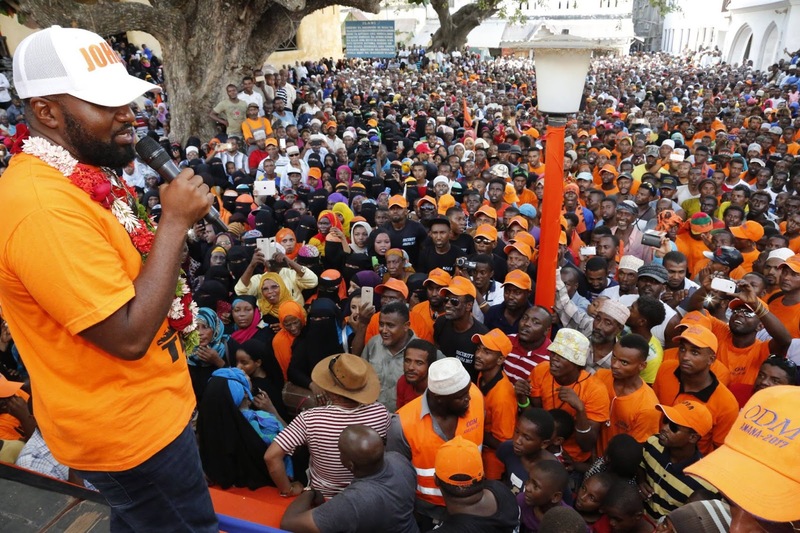 The area residents rebuked Joho for not being honest with the president. They started throwing mangoes and bananas to the governor's vehicles. "It is well known that the Lamu county support NASA from the native residents, only Mpeketoni and some parts of Witu support Jubilee." Said Omar Salim. The area which is occupied by people who it is allegedly were brought by the former and first president of Kenya Mzee Jomo Kenyatta to settle on the scheme rendered Mombasa Governor speechless. The governors later had a successful rally at Mokowe and other parts of the county. The Lamu governor Issa Timamy who was allegedly moved to Jubilee rubbished the claims and said he is in ANC to stay. The Governor welcomed his fellow governor in Lamu. Mpeketoni has been an area of contention following in the coast region following massive Jubilee follow up. The governors were just passing to Mokowe for a rally but fortunately, it was a market day in the town. They decided to greet the residents and that is when their vehicles were smashed with Mangoes, Tomato and Bananas.